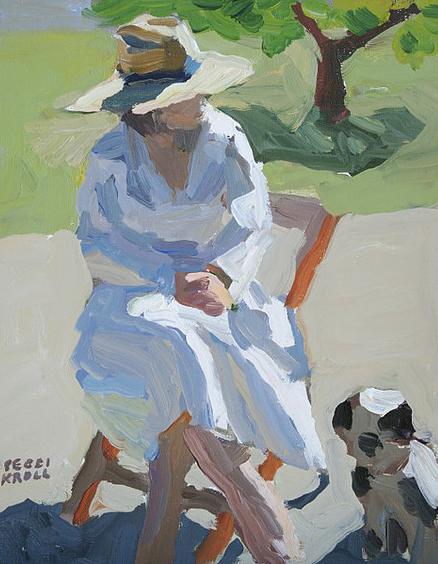 Award winning artist, Peggi Kroll-Roberts, was trained at Arizona State University and the Art Center College of Design in Pasadena, CA. Peggi worked as a fashion and advertising illustrator before making the transition into fine art. 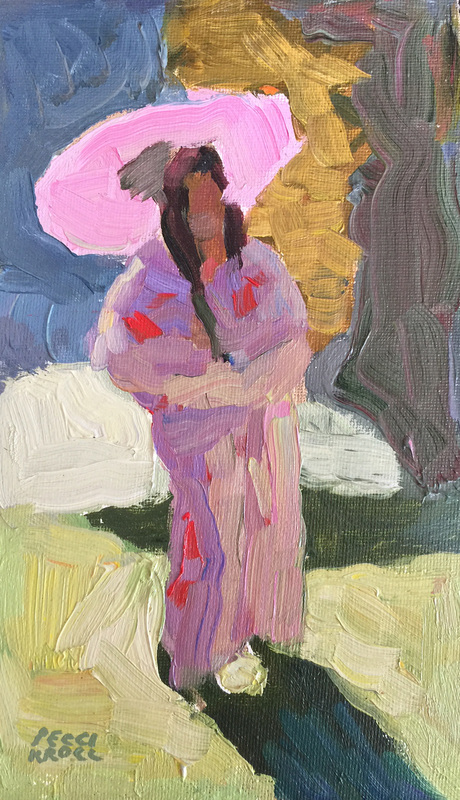 Using intense color and value to accentuate her subject, she moved into fine art with a bold palette, a love for small paintings and a very loose style that achieves a lot with a few very energetic brush strokes. She prefers to suggest reality than render it. 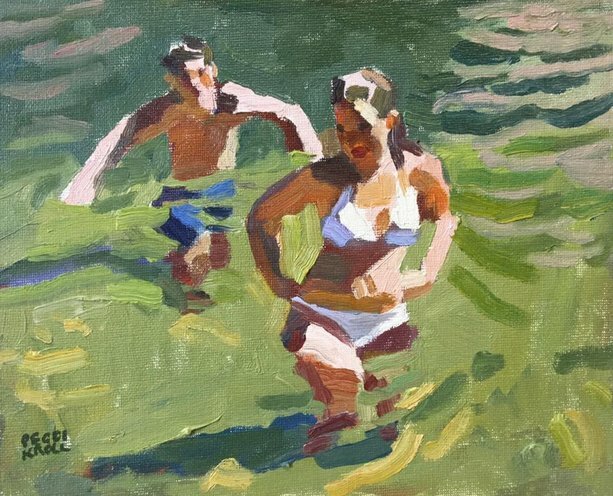 Inspired by her children she paints beach scenes and other aspects of their lives. 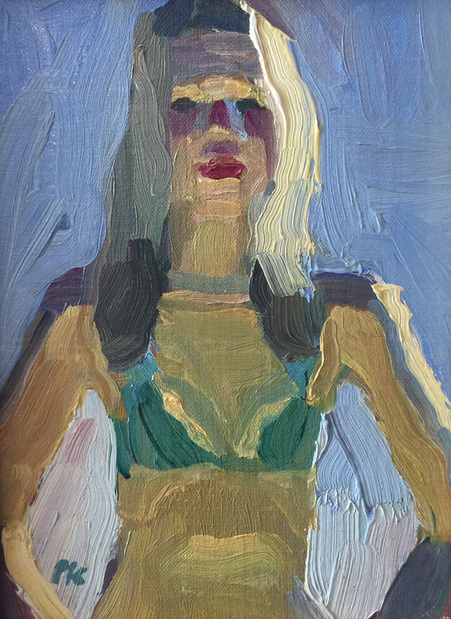 She also breaks away from the conventional still life by painting scenes of cosmetics and the occasional coffee cup or slab of butter. Peggi's work gives us a new appreciation of our own daily life. Peggi has graced the paces of many top fine art magazines and has been the proud winner of many fine art and plein air painting awards. Her work transcends the realist impressionist and expressionist styles. Peggi's work is widely collected. She and her work at revered by many artists and her workshops and excellent teaching skills are not to be missed. "Woman in White with Dog"
7x9 framed and matted to 12x16"